iAsk Leaders: why are the Stock markets so different ? In the 57th year of Emperor Qianlong's reign, NYSE was founded; In 1915, during the monarchical attempt of Yuan Shikai, IBM went public on the NYSE. The US stock market has developed for over 200 years, while the Chinese stock market has only stumbled for less than 30 years. During the less than 30 years of development of China A-Shares, maybe we can review it by taking every decade as an unit. During the first decade from 1999 to 2001, the Shanghai Composite increased from 99.98 points to 2233 points, which is regarded as the first round of a bull market. During the second decade, China A-Shares had its peak at 6124 points in 2007, and its bottom at 1664 points. By the end of 2011, it concluded with 2228.52 points, returning to the start level after 10 years of rises and falls. During the next decade, except for 2015, when the Shanghai Composite Index rose to a historical high of 5178 points, the year 2008, 2011 and 2016 were tough for the investors. On September 3rd, 2018, the Shanghai Composite Index concluded with 2720.73 points, which is approximately the same as September 3rd, 2008 with 2276.67 points. This decade, after several rounds of back and forth on the stocks trend graphics, it went back to the starting point. The sagging stock market of China is an anomaly among the global markets. Due to the subprime crisis, the US stock market went down by 45% from October 2007 to November 2008. However right after, it started surging continuously. After 10 years, on August 23rd, 2018, the US bull market became the longest on record with 3453 days. Aside from the US, major European stock markets such as Germany, France, and Italy all had annual growth rates of 18% or more. Even England with lowering growth forecasts due to Brexit, its stock market still grew over 8% annually. In Asia, the Shanghai Composite has the lowest annual growth of 4.58%, and in comparison, the booming Indian stock market grew 350% in 3587 days. The Shanghai Composite also fell far behind the Hongkong Hang Seng, Korea's Kospi Index, and Japan's Nikkei index which rose by 31%, 21.5%, and 16% respectively. Looking at the US stocks history, since 1929, there have been 25 bear markets and 25 bull markets. A US bear market lasts on average of 10 months, and a bull market 32 months, with clear patterns of a longer bull market period and a shorter bear market period. During a bear market, the S&P 500 falls on average by 35.4%, and during a bull market, it raises on average by 106.9%, with more rises and fewer falls. However, the characteristics of China’s A-shares are the complete opposite. Since its start in 1990 until 2016, China’s A-shares experienced 7 bull markets and 8 bear markets. A Bear market lasts on average of 27.8 months, and a bull market 12.1 months on average. The length of a bear market is 3.2 times of the length of a bull market, with typical patterns of a shorter bull market period and a longer bear market period. During the bear market, the Shanghai Composite drops by 56.4% on average, and during the bull market, it raises by 217.2% on average. The level of rises and falls both significantly exceeds that of the US, a typical surge and crash phenomenon. 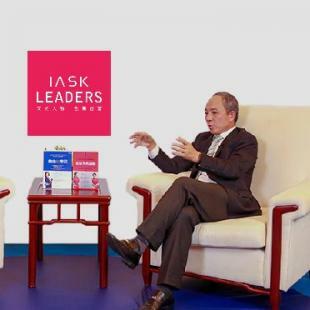 In today’s iAsk Leaders, Gloria Ai is having a conversation with Ted (Tiefei) Wang, a former Partner of Goldman Sachs, to discuss the China and US stock markets over the last decade. GLORIA AI: You used to be a partner of Goldman Sachs, and also experienced the 2008 financial crisis. From the 10 years since then, we saw US’s stronger recovery, however, China’s A-Stocks had scary ups and downs. Can you explain why? TED WANG: The US real economy has recovered since the financial crisis. Although the progress is slow, the upward trend is very obvious. On one hand, the Fed gave strong financial supports, and on the other hand, although regulations strengthened, the US economy itself is very vital, with strong ability to repair itself. Therefore, from 2009 to now, the US stock market has risen by about 3 times based on the S&P 500 index. GLORIA AI: But what is behind the big ups and downs in China? TED WANG: China is a very complicated economy. On the one hand, we have a large amount of wealth creation, capital flows from the stock market to the real estate. Secondly, the real economy is connected with the virtual economy. From the perspective of 10 years, the returns on the stock market and the enterprises’ profits are closely related. GDP growth, the growth of enterprise profitability and the stock market growth should be on a similar level. GLORIA AI: The stock market is the barometer of the real economy’s development, but why is it not the case in the Chinese market? TED WANG: In our economic development, many things are unbalanced. Much capital in finance did not flow into the real economy, but to the real estate. This is not wrong per se. But during the fast development, some financial parts need to be sorted out. GLORIA AI: Risk is an eternal topic in capital management. During your time at Goldman Sachs, you were also a member of the risk management committee. Talking about risks, it is a bit contradictory to innovation, as some people say innovation is a constant trial and error. Facing the risks of innovation, how do you avoid them as an investor and how to manage them as an entrepreneur? TED WANG: No investor likes risks. But in the end, you have to face risks. And often, where there are risks, there are returns. So on the one hand, you need to understand what risk is, and secondly, to understand that risk itself is an entrance ticket. From my point of view, when founding a startup, there is the risk of asset liquidity, the risk of black swans, credit risks and associated risks etc. I call them financial risks, but there are other kinds of risks. GLORIA AI: Then as an investor, what is the most healthy way to face risks? TED WANG: Many people say “I am risk-seeking”. I think this is abnormal. No one likes risks. But you need to accept risks, and face them with a good attitude and be forward-thinking. So you need to understand what kinds of risks are there. Some risks are foreseeable, some are not.